At the end of the year, we like to look back on the past few months to see what sold well and what surprised booksellers. It's also a chance to present some titles to purchase now, in case in case your oblique (or overt) hints didn't pan out. We queried more than 20 bookstores across the country; there was an unsurprising consensus about Patti Smith's M Train, Ta-Nehisi Coates's superb Between the World and Me, H Is for Hawk by Helen Macdonald, Harry Potter and the Sorcerer's Stone, illustrated by Jim Kay, and Randall Munroe's Thing Explainer: Complicated Stuff in Simple Words, all of which flew off the shelves. Gratitude, essays by Oliver Sacks about coming to terms with his own death, sold quite well, as did Elena Ferrante's Neapolitan novels: My Brilliant Friend, The Story of a New Name, Those Who Leave and Those Who Stay, The Story of the Lost Child (warning: they are addictive). Fates and Furies by Lauren Groff was the favorite choice for many (including President Obama). Nonfiction, which for some stores trumped fiction, provided some unexpected bestsellers. Notorious RBG: The Life and Times of Ruth Bader Ginsberg by Irin Carmon and Shana Knizhnik; Mary Beard's S.P.Q.R. 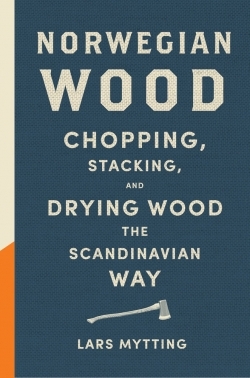 : A History of Ancient Rome; The Soul of an Octopus: A Surprising Exploration into the Wonder of Consciousness by Sy Montgomery; and Lars Mytting's Norwegian Wood: Chopping, Stacking, and Drying Wood the Scandinavian Way. A cookbook on multiple lists was The Food Lab by Kenji Lopez-Alt. The beautiful graphic book Thunder & Lightning: Weather Past, Present, Future by Lauren Redniss, and a frank and hilarious memoir, Furiously Happy: A Funny Book About Horrible Things by Jenny Lawson, round out the list. A delightful graphic novel-style memoir about a Turkish girl who wants to be Jacques Cousteau, or possibly an actress, but not an engineer. Former Texas Ranger Hackberry Holland confronts a ruthless arms dealer who has kidnapped his son. Conquerors tells the violent and often ugly story of how Portugal won a global empire. Happy 2016! Bustle recommended "8 books that will help you throw an epic New Year's Eve party" and offered "12 New Year's resolutions inspired by Harry Potter characters." In the spirit of the season, Brightly featured "one dad's reading resolutions for the New Year." "It's not just a book; it's a whole world." Buzzfeed shared "24 things people slightly obsessed with reading know to be true." Help wanted. Noting that "January is the busiest time of year for jobseekers," Adzuna found "29 jobs from fiction that are more exciting than yours." Author John Boyne Chose his "top 10 unlikely friendships in children's books" for the Guardian. Although James Rollins still does volunteer veterinary work, he's a prolific writer: he releases two to three books a year, on average, and he's working on his 36th book. 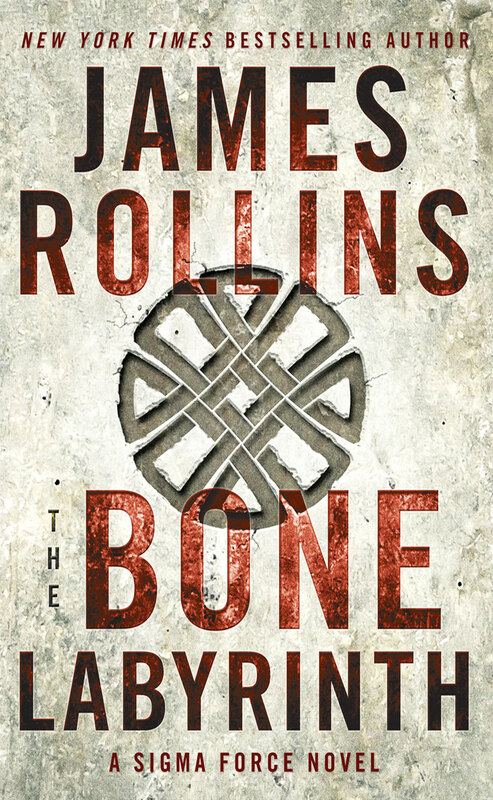 Rollins's latest novel, The Bone Labyrinth (Morrow, $27.99, December 15, 2015), is the 10th in his Sigma Force series. It explores ancient DNA, a globe-spanning conspiracy, the real location of Atlantis and an incredibly intelligent ape named Baako. This smart thriller puts the "scientists-with-guns" of Sigma Force into new danger as they seek to uncover who is stealing ancient artifacts and trying to kidnap both Baako and his handlers. How do you approach building a Sigma Force novel? I've always got my antenna up for two things--well, three things, really. Number one is some type of historical mystery, some piece of history that ends in a question mark. Something I can solve in the pages of a novel. But I'm also looking for that bit of cutting-edge science, something that's fun to maybe extrapolate and see where it might be headed. I'm always looking at technology--not necessarily at the cogs and the wheels of that technology but more about how it will shape us as a human species, whether it challenges us morally, spiritually or economically. And I'm always looking for an exotic place to set a story. I generally don't travel for research, I travel just for the fun of it. I usually just walk up to a local and ask them, "Tell me something nobody knows about this place." Or "tell me a secret that you know that you wouldn't tell anybody else." Often times, that becomes the seed for a story. Maybe not--I'm not always going to run home and write it, but I'll shelve it and I'll take a bunch of pictures. I also journal when I write, so whenever I have a story that seems to be glancing in that direction, I've got my research preset because of that travel. A lot of times, different stories set off from different angles. Amazonia, one of my earlier stand-alone novels, started because I had visited the Amazon and just wanted to set a story here. I didn't know what I was going to write about or what it was going to be, so then I researched the history and the science after that. Sometime it's the history, too. The Devil Colony--there was some mystery surrounding the founding of the 13 colonies, so that became the background for the story. Other times it's the science. In the case of The Bone Labyrinth, it was the science, which is basically looking for the roots of human intelligence: What makes us so smart? What was that great leap forward that occurred 50,000 years ago? That became the jumping-off point for this part of the story. Then I try to find the history or the science or a location that can cobble together those three things to build a story. What's the truth behind the genetics in The Bone Labyrinth? We're not splicing Neanderthal DNA into apes, are we? We're not far from that. I think it's still considered to be something you shouldn't do--a lot of governments have already banned it. They've gotten together and said, "This is the line we're drawing in the sand. We should not be crossing this line." Well, that's all fine and good, but there are going to be labs that cross that line. First it was the Chinese. Just back a couple of years ago, they reported they were experimenting with engineering human embryos and (supposedly) succeeded in producing them. There's also a British lab that's looking into that. So even though that line's drawn in the sand, people are always trying to cross it. Right. It's just a matter of time. It's already been several years now since we've managed to fully work out the genome of Neanderthals. They're not that much different from us in regards to the number of genes between us and them. So, it's not beyond the scope of somebody saying, "Well, these are the genes that are unique to Neanderthals, what do we do?" Amplify that: there will be projects, whether it's an animal/Neanderthal project or whether it's a human/Neanderthal project. Tell us about the historical background for your story, including the sections around the Church. I was raised Roman Catholic--definitely on the recovering side of that spectrum—but I'm always intrigued by the fact that a lot of the early scientists in medieval times were enfolded in the church, including the intriguing character that I bring in here, Father Athanasius Kircher. Here's a guy who was deeply devoted to the church, yet was also the Leonardo da Vinci of the time. He was exploring different types of scientific disciplines, like medicine and geology. He was considered to be the father of anthropology, so he was dabbling with everything I wanted to play with--history, science, religion. He was able to find a common ground between science and religion--a recurring theme in a lot of my novels is that right now in the world there is religion on one side, scientists on the other. And none dare cross that line. I dabble within a lot of my novels--including this one--trying to find that common ground, that mix of science and faith. And then, of course, once I started with Kirchner, I stumbled upon Father Carlos Crespi. He was a monk and missionary in Ecuador. Again, like Father Kirchner, Crespi also had several degrees in botany, anthropology and history. Again, somebody who deals with history, faith and science. And he was collecting local artifacts, dabbling in this mix of history and science, and he's another somebody I had a file on already, so to speak. What was your favorite part of writing this book? Where you think, "You know, that nailed exactly what I was going for." As a veterinarian, I like to focus on animals in my stories. I kept this one note from a reader that said, "Hey, Jim. How come right about here in your series of novels, all of a sudden everybody has animal sidekicks?" It was right about then that I actually stopped practicing full-time. About five or six books in, I started transitioning off full-time practice to part-time. It was around then that all these animals started appearing in my novels. So, that passion for animals crept into my writing. Unbeknownst to me. There's that old phrase, "You're naked on the page." And apparently some of that must be true because you sort of stare right at it here. For readers who love ancient history but have been frustrated by a dearth of women in popular narratives, The Conqueror's Wife: A Novel of Alexander the Great offers a refreshing new perspective. Stephanie Thornton (The Tiger Queens: The Women of Genghis Khan) has devoted three previous novels to illuminating overlooked women from ancient history, and this book does the same. While Alexander leads his ruthless army into battle, the women he encounters assert themselves even as society oppresses them. In the recently conquered Thessaly, a threatened mother lures a greedy mercenary to his death with the promise of jewels in a well. Impressed by her courage, Alexander spares her from his armies. In Persia, a young woman escapes the grasp of a lecherous old man by improvising a quick lie in front of a crowd of nobles. She purposefully seduces Alexander for her own benefit and, later, wins him over in marriage. Meanwhile, the ruler's younger sister, Thessalonike, is relentless in her desire to explore the world, and his mother is a merciless manipulator who leads Dionysian rituals and defies even her own powerful son. Discover: A richly detailed historical novel about the women who fought and supported Alexander the Great. Whether modern-day Louisiana or early 20th-century Texas, the worlds James Lee Burke (Wayfaring Stranger) creates crackle on his pages. The vivid sights, sounds and smells envelop readers observing the tormented lives of his troubled characters. House of the Rising Sun continues that exemplary standard for fiction with a captivating story of family, faith, betrayal and redemption. In this fourth Hackberry Holland book, the former Texas Ranger is searching for his estranged son, Ishmael, in Mexico when he wanders into the middle of an arms deal. Hack destroys the munitions but discovers a gem-encrusted cup among the arsenal, which he tucks away and carries back to Texas. Powerful businessman Arnold Beckman believes the artifact is rightfully his and will stop at nothing to take it back, including kidnapping war hero Ishmael, who is recovering from serious leg injuries sustained at the Great War's Battle of the Marne. Hack must fight his personal demons and outsmart the deadly Beckman in order to save his son. Brimming with delectably evil villains and heroes whose white hats have grown dingy from the dirt they've rolled in, House of the Rising Sun is a masterstroke in Burke's exceptional body of work. 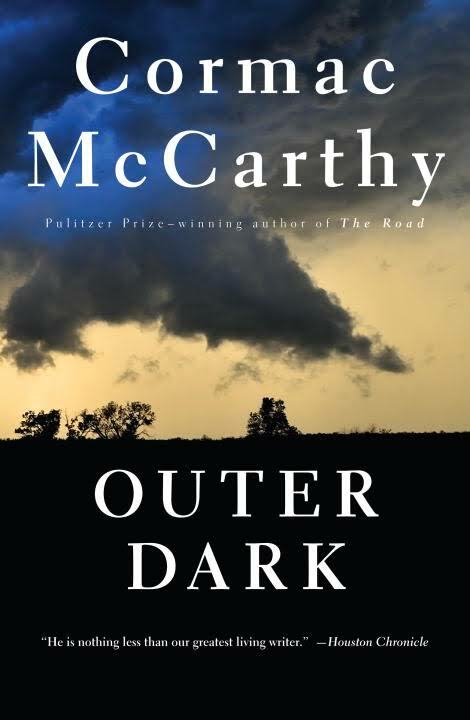 He balances the characters' introspection with suspenseful action, keeping the momentum of the novel quick and engaging; packs insightful thoughts on humanity into colorful quips; and, despite the bleakness of the plot, interjects hilarious scenes like Hack learning to drive a motorcar. Discover: Former Texas Ranger Hackberry Holland confronts a ruthless arms dealer who has kidnapped his son. Green, founder of the Agatha Christie Theatre Company, which has exclusive rights to Christie's original plays in the U.K., is a meticulous historian. He cross-references the "notoriously inaccurate chronology" of Christie's autobiography, and her nearly illegible correspondences and notebooks, with the papers, memoirs and interviews of contemporaries to follow each play from inception to staging. Discover: Julius Green's fascinating Curtain Up explores an often overlooked side of Agatha Christie--her prolific and successful work as a playwright. In works such as City of Fortune, Empires of the Sea and 1453, historian Roger Crowley focused on the struggles between the Renaissance powers--Christian and Muslim alike--over who would control the Mediterranean and the lucrative trade between East and West. In Conquerors: How Portugal Forged the First Global Empire, Crowley moves his account outside the Mediterranean to follow Portugal's maritime explorations down the coast of Africa, and its gunpowder-fueled entrance into the Indian Ocean. Discover: Conquerors tells the violent and often ugly story of how Portugal won a global empire. James Gardner, an art and culture critic, has created a loving history of a memorable metropolis in Buenos Aires: The Biography of a City. Often called "the Paris of the South," Buenos Aires was founded by a few dozen Spanish conquistadors in the 1500s. Gardner details how it eventually achieved its modern status as a bustling, cosmopolitan capital. The residents of Buenos Aires, known as porteños, long struggled to thrive under strict Spanish laws, and when Napoleon ousted the Spanish king in 1810, the porteños saw their chance for independence. There was little architecture of note, so they emulated European style as the city boomed, making Buenos Aires quite different architecturally from most other Spanish colonial cities. Gardner discusses the effects of several dictators who ruled in Argentina--most notably Juan Manuel de Rosas and Juan Perón--and how their despotism has left lingering marks on the culture of Buenos Aires, with a dearth of creativity during the years of their rule. What makes Buenos Aires stand out is the attention Gardner pays to the details. He discusses the sizing of city blocks, why the grid was laid out the way it was, and how the corners of intersections are blunted into ochavas, making a porteño street corner stand out from almost any other intersection in the world. Discover: A look at the history and architecture of Buenos Aires, the "Paris of the South." Sir Ranulph Fiennes (The Feather Men) has an impressive pedigree: he can trace his ancestry back to Charlemagne, through the Norman conquest of England in 1066 (one of his ancestors is depicted on the famous Bayeux Tapestry telling William the Conqueror to retreat from the Battle of Hastings, advice the future king ignored) and the Hundred Years' War between England and France (1337 to 1453). What makes Fiennes, an English explorer, an interesting choice to write about the Battle of Agincourt is his familial connection to the conflict. His ancestry split when the Normans invaded England--some stayed behind in Northern France while others followed William across the Channel. Thus when King Henry V faced off against the French near Agincourt village in 1415, Fiennes had family on both sides of the battle. Discover: A man with distant relatives on both the French and English sides explores the Battle of Agincourt. A Foot in the River: Why Our Lives Change--and the Limits of Evolution is a challenging book. There are limits to what even an accomplished professor and historian like Felipe Fernandez-Armesto can accomplish in simplifying the complex argument delivered in this short, highly ambitious book. To paraphrase the somewhat clunky title, Fernandez-Armesto proposes something akin to a unified theory of culture and cultural change, a multi-pronged idea with many corollaries and one main enemy: the idea that evolution is sufficient to explain culture and cultural change. It may sound like a distinction significant only to argumentative professors, but Fernandez-Armesto is quick to identify areas where the idea of evolutionary forces as source and driver of culture has done real damage. He notes the disturbing frequency with which dry academic theories have been repurposed as justifications for immoral practices such as slavery and eugenics. Fernandez-Armesto criticizes both the odious consequences and the theories themselves: "Cultural traits do not replicate like genes--people accept or reject them according to criteria of their own--criteria that have nothing to do with... enhancing the survival of the group." Discover: A Foot in the River is a brainy, ambitious attempt to subvert evolutionary theories of culture and introduce new ways of understanding cultural change. Red meat, alcohol, stress, video games: the news touts them as terrible, sometimes even life-threatening. But Jeff Wilser (The Man Cave Book) digs further into the information on these vices and more. The Good News About What's Bad for You looks beyond the titillating headlines to the big picture, then scales that image down to a couple of pages per topic, highlighting the overall results in layman's terms. The outcomes aren't necessarily as alarm-worthy as the press might want readers to believe. Turn the book over and Wilser sets his sights on The Bad News About What's Good for You, saying that kale, juice cleanses, retirement and yoga may not be all they're cracked up to be. Using a conversational tone ripe with humor, Wilser encourages readers to feel less guilt, consider the relative risk versus the absolute risk--if something increases risk 500% but the initial risk is only 0.000001, chances are still minuscule it will ever happen--and beware the trap of alarming titles used for the sole purpose of shock. The Good News About What's Bad for You... the Bad News About What's Good for You requires an open mind. Even Wilser has a tendency to express skepticism at research contradicting his own beliefs. But the overarching theme of moderation is vital, and Wilser's delivery is comically entertaining. Discover: From fidgeting to fruit, the complete story of what science says about things deceivingly touted as either good and bad for one's well-being. Poet laureate of the United States from 2006 to 2007, Donald Hall has compiled more than 70 of his favorite poems in this collection. Arranged in chronological order, these poems reflect the changes in his writing over the course of his life. Hall writes, "As I read my poems in chronological order, I am aware of changing sounds and shapes. I move from rhymed stanzas to varieties of free verse, and later... go back to meter again." Discover: A passionate poet gathers the best from his lifetime of work in this rich compilation. Adam O'Riordan's poems touch on a variety of subjects, moods and settings with maturity beyond his early-30s age and a reach beyond his English roots. His first collection, In the Flesh, is a rich tapestry of form and feeling (what Robert Frost called "the sound of sense"), containing poems that ask to be read aloud--and then read again. Like Frost's poetry and that of the English Romantics, O'Riordan's work is often set in the natural world but always comes back to the human significance within it. "Goooogle" has lonely men "sit/ pale as geishas,/ by the glow of obsolete/ computers.... The busy crickets/ of their fingers/ stoking engines/ with maiden names/ and zip codes/ of ex-lovers." to cross the line alone if you must." In the Flesh carries way more heft than its brevity suggests and leaves us eager to see what Adam O'Riordan offers next. --Bruce Jacobs, founding partner, Watermark Books & Cafe, Wichita, Kan. Discover: O'Riordan's first collection of poems is rich in history, form and the underlying fragility of "the flesh." All Özge wants to do when she grows up is be like her scuba-diving hero Jacques Cousteau. Or maybe an actress. Why are there so many obstacles? In her whimsical graphic memoir, Turkish author-illustrator Özge Samanci tells the story of her 1980s childhood in Izmir, Turkey, and later Istanbul, with a charmingly fresh perspective. Unlike panel-style graphic novels, the playful, inviting pages of Dare to Disappoint are filled with spot illustrations with strategic hints of color, cartoon-bubble dialogue and the occasional photographed collage, pulled together with a brief narrative. The memoir begins when little blonde Özge is six, and she and her mother are using binoculars to watch her older sister, Pelin, at school across the street. "I wanted to be on the other side of the binoculars," writes Özge. In first grade, she instantly falls for the "huge, gorgeous woman" who teaches her students about Turkish history, including the late Atatürk, the "Father of Turks," whose image was plastered everywhere. Özge, a good soldier, begins to revere him, even standing on a chair to pledge her love to his portrait. Discover: A delightful graphic novel-style memoir about a Turkish girl who wants to be Jacques Cousteau, or possibly an actress, but not an engineer. The Rosemary Spell begins as 13-year-old Rosemary Bennett is setting up her bedroom in her dad's former home office, the one he abandoned 10 years ago when he left the family. Fortunately, her best friends and fellow bookworms Shelby and Adam Steiner, who are brother and sister, are on hand to help. Adam--who relishes order--dives in to categorize her books, but 16-year-old Shelby, who has a fresh flock of friends, can't stick around for long. Rosemary feels a "stabby ache" when Shelby takes off, but is soon distracted by a stunning discovery. When she and Adam break into the room's long-locked cupboard, they find a book--an ancient, possibly magical, leather diary that might have belonged to Shakespeare himself. And here the adventure--and a lot of literary detective work--starts to unfold. Discover: For 12-year-old Rosemary, the discovery of a mysterious old book seems like just a fun puzzle to solve, until people start disappearing.